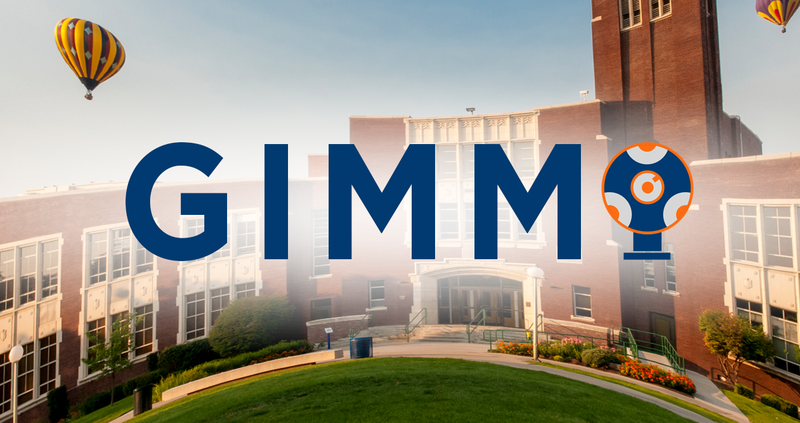 Imagine you’re a student in the Boise State Gaming Interactive and Mobile Media (GIMM) program. It’s the last three weeks of the semester and you’re utilizing a 360 degree camera for a final project for one of your classes. Each video takes a day to shoot and then another full day to process. After your video processes, you may discover you have to reshoot your video. There’s only one computer license for the software required to process the 360 degree video at Boise State–and there are 19 other students in your class. This was the story for Boise State GIMM students until just a few weeks ago when Steve Cutchin, Director of Research Computing and Associate Professor in Computer Science, had the idea to leverage the high performance computing (HPC) R2 server cluster managed by Research Computing Services in the Office of Information Technology (OIT). Cutchin knew the Nvidia P100 video processors in the R2 cluster could dramatically reduce the time required to process the video but he wondered if his team could find, or maybe create, a solution that would allow simultaneous processing of videos. He simply needed to find a way to process the videos without having to use the one proprietary software license on campus. Cutchin enlisted the help of Ikar Vazquez, one of his graduate students, to research possibilities. Vasquez found that he could write programs within the Nvidia Stitchworks software development kit (SDK) to process the 360 video. The process to produce 360 degree videos is called “stitching” and an SDK allows programmers to write code, programs, to accomplish tasks within a certain environment. In this case, stitching and processing 360 degree videos. Since Vazquez was able to install the SDK and program he wrote on the R2 server cluster, he was able to leverage the Nvidia P100 video processors which dramatically reduced the time required to process the 360 degree videos. He also discovered that the use of the Stitchworks SDK in the R2 server environment allowed for simultaneous processing of videos. In other words, Cutchin and Vazquez created a solution leveraging the R2 server cluster, so that GIMM students don’t have to wait in line or as long for their videos to be processed anymore. Cutchin says that the server model also provides possibilities for deeper interactions among people. He imagines that GIMM students working in the field could upload their 360 degree video files to the R2 cluster for overnight processing. Then, their instructors would be able to view the raw video and make comments, or provide instructional feedback, to students before they began shooting the next day. Basically, processing the 360 degree videos is no longer a barrier to just getting to work the next day. Cutchin is excited to test these new workflows with GIMM students this summer on a research trip in Croatia. The idea is that students will be able to upload their videos to be processed on the R2 server cluster and that they will be able to share the completed videos with collaborators, students, and faculty in Boise. Or anywhere. Working with the OIT Research Computing team, researchers, faculty, and students from Biology to Engineering to Education, continue to find ways to leverage the power of the R2 cluster here at Boise State to get their projects done more quickly and efficiently. If you think the R2 cluster could assist your research, data crunching, or processing needs, or if you’re not sure, contact Steve Cutchin and his team Research Computing at researchcomputing@boisestate.edu. The Research Computing team is happy, and always available, to provide a personal consultation to help you solve your data challenges.